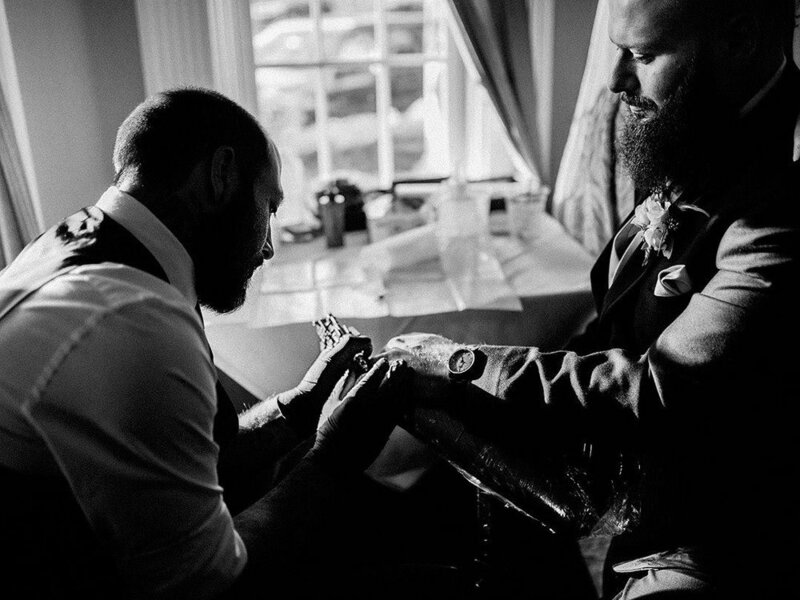 With 20 years in the tattoo industry, The Wedding Tattooer will deliver a top-notch professional experience your guests will cherish forever! 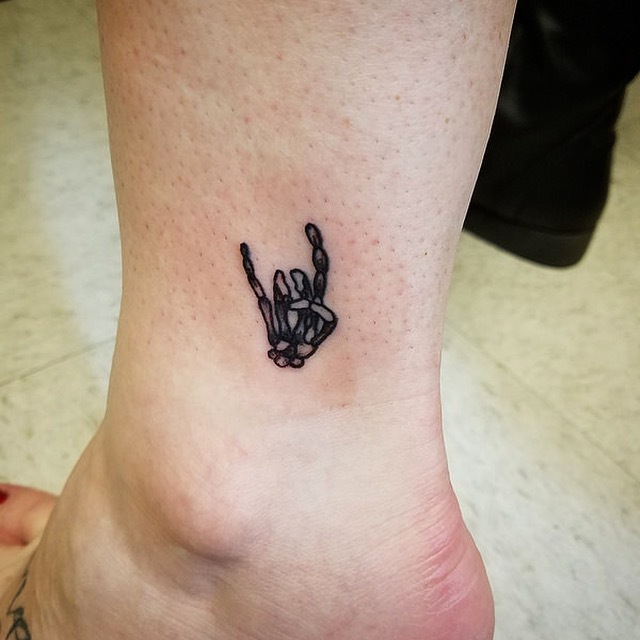 After spending years dedicating my career becoming fluent in all styles of tattoo, I decided to share this timeless tradition with couples and their closest loved ones, thus The Wedding Tattooer was born! I feel tattoos symbolize a special moment in time, and I strive to capture just that on the day you choose LOVE! 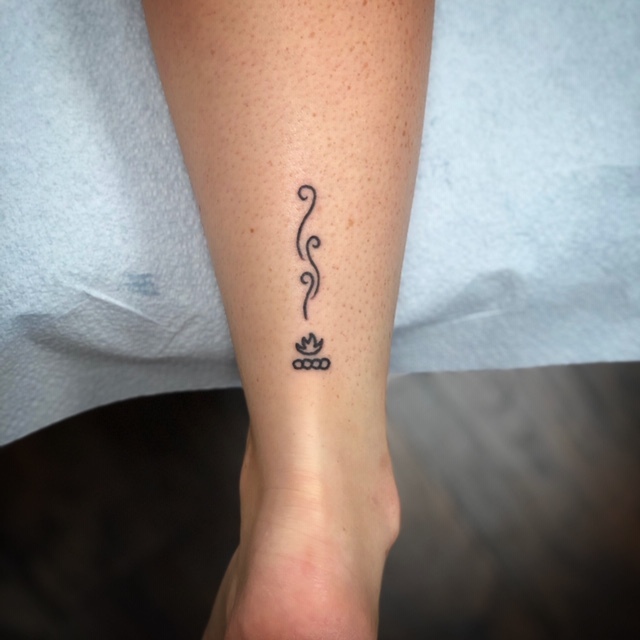 Every tattoo is unique as the families joining together on your special day, and I would be honored to share the experience with you! 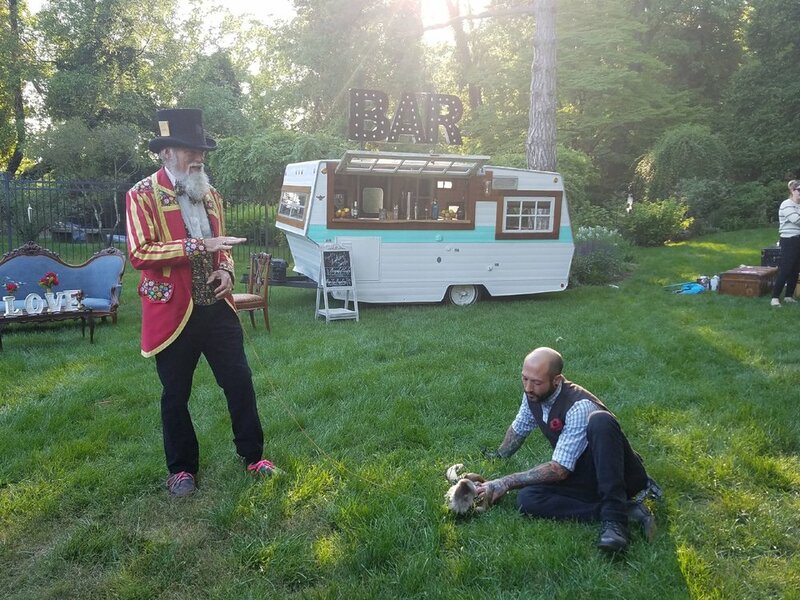 Your occasion can be classic, eclectic, or anything in between, our experience and attention to the smallest of details will ensure your guests will fondly remember the day you said "I do". 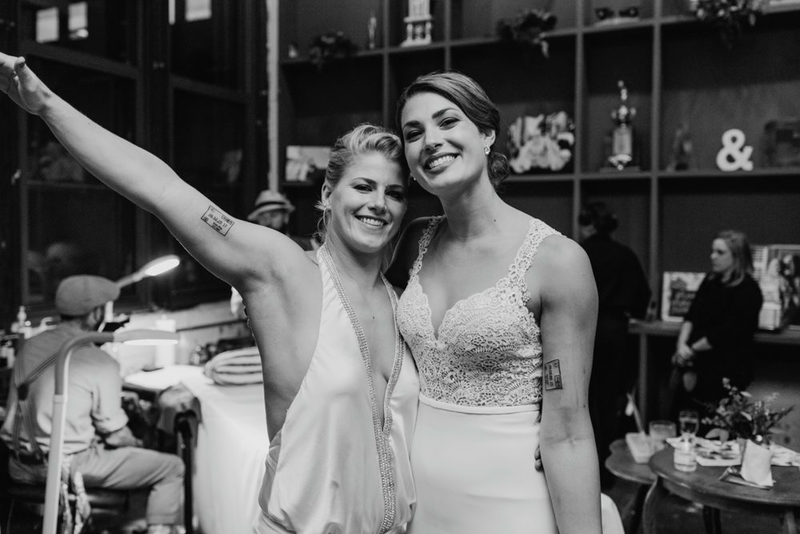 At the heart of every great occasion is a warm, positive vibe felt by everyone involved, where guests feel comfortable to relax, be themselves, and get to know each other. 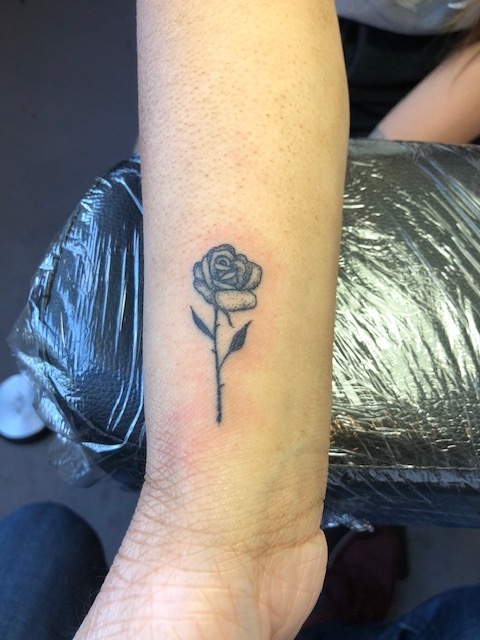 When you reveal to your guests they'll be able to receive a tattoo keepsake at your wedding reception, bachelor/bachelorette party or any other special occasion, it will create a buzz unlike any other and join everyone in celebration! 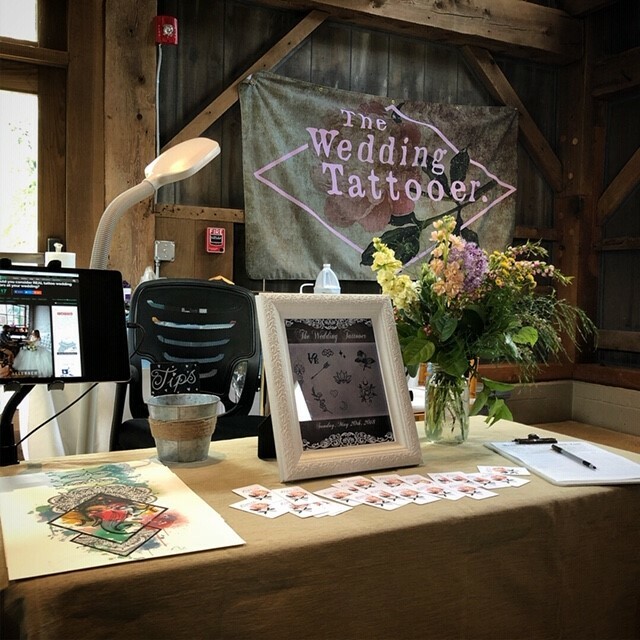 When planning your wedding tattoo experience, you'll start by clicking the Booking Inquiries button located on our site. By entering your occasion information when prompted, I'll get an idea of how you're looking to celebrate and also check our availability. We'll go over your ideas and once your date is booked I'll get the ball rollin' with planning your event!. 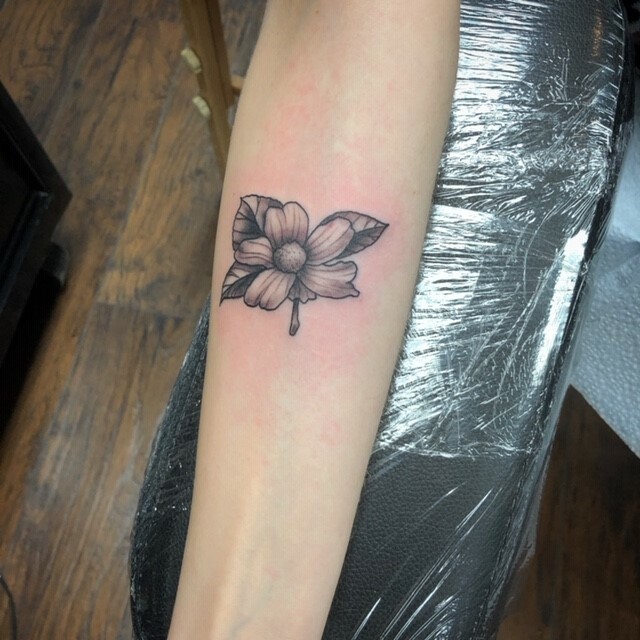 Be sure to check out our Tattoo Menu gallery, you'll be able to get a feel for the variety of styles we provide for your guests! 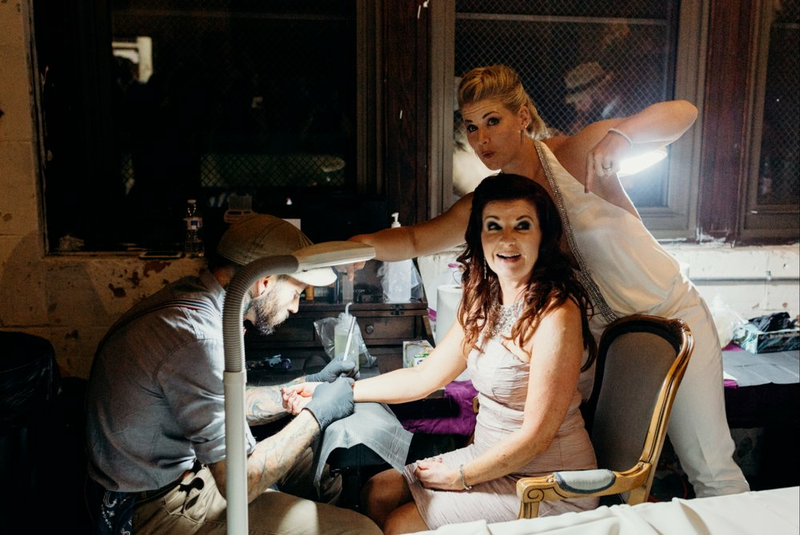 As always, I extend the same cutting edge industry standards from my studio to your event, making sure to deliver a clean and sterile procedure for every guest, while also making the tattoo a fun and memorable experience for everyone!